The quality of management of manufacturing firms in Singapore is not far behind that of major developed countries such as the United States, Japan and Germany, a recent study has found. This perhaps isn't surprising since many manufacturing firms here are offshoots of multinational corporations (MNCs) from developed countries, which generally boast superior management. 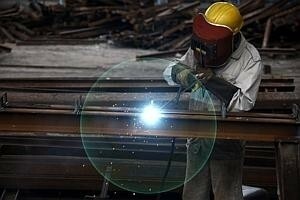 Singapore manufacturers' management quality - assessed in terms of operations, monitoring, goal-setting and people management - was ranked sixth among 22 countries, on a par with developed countries such as Britain, Australia and France, the study commissioned by the National Productivity and Continuing Education Council found. When local content is stripped out, Singapore's ranking shoots up to No 2, just behind the US. MNCs based here, especially those from the US, "performed significantly better" than non-MNCs here, noted the study. Titled Management Practices in Singapore, the study employed the World Management Survey methodology developed by the London School of Economics. In a press release issued yesterday on the sidelines of the Singapore Manufacturing Federation's conference on innovation and productivity, the Council said: "Singapore's strong score can be attributed to the relatively large presence of MNCs in the manufacturing sector." The study, which covered 408 manufacturing firms based here, showed that the MNCs' management had an average score of 3.26, compared with 2.84 for local small and mid-sized enterprises. Interestingly, if the MNCs are excluded, management quality of local manufacturers slipped to levels just above those of Chile, Argentina, Greece, China, Brazil and India - all laggards in the rankings. Acting Manpower Minister Tan Chuan-Jin, a member of the Council who spoke at yesterday's seminar, noted that while Singapore had done "fairly well" for being placed sixth, it could do better. "Good managers will be the forerunners for game-changing ideas which form the basis for the company's next competitive advantage," he said. "Therefore, improving the quality of management is just as important as undertaking other productivity improvements in order to entrench a productive culture." Local firms in Singapore can learn from the MNCs, the study noted. For instance, they can instil a talent mindset among senior management and do better in tracking and communicating key performance indicators. Local firms can also brush up management skills to set goals that strike a balance between financial and non-financial goals. The study also found that firms with strong management tended to have strong revenues. "This suggests that good management practices can have a beneficial impact on firm performance and productivity," it said. Singapore has done especially well in people management, where it was placed fourth. "Firms in Singapore were found to have put in place policies to reward and retain high performers," the study said. Thanks to lean management, Singapore is ranked seventh for operations management. It is ranked eighth in monitoring management because managers here are able to spot their staff's weaknesses and retrain them. Local managers can communicate well-defined goals to their staff, earning them a ninth ranking in targets management.